Located on a quiet tree lined street in East St Kilda, Quest on Redan is just a short tram ride away from the popular St Kilda beach and cafes, restaurants and boutique shopping that makes St Kilda a sought after location. Alternatively, the cosmopolitan restaurants and shopping of Chapel Street and Toorak Road, as well as Richmond, Prahran and South Eastern suburbs are all close by. Quest on Redan provides clean and comfortable accommodation at "3 star" budget prices, with its 40 studio apartments all featuring kitchenette facilities. 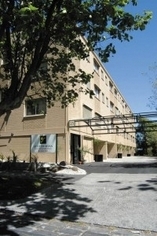 Tram and train services are within easy walking distance and complimentary secure off street parking, guest laundry and BBQ area is provided for all guests. Quest on Redan - for the discerning budget conscious traveller. Quest on Redan are able to offer various bedding configurations, from Queen through to King Split beds. 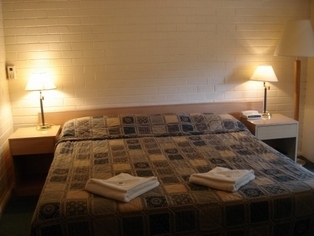 Apartments are suitable for two people but a third person can be accommodated for a small additional fee. Please place request upon booking with us and we will accomodate as best as possible. 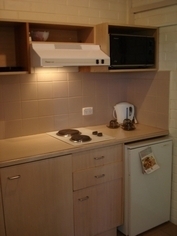 Kitchenettes with hotplate, microwave, fridge and coffee making facilities are provided with all cooking utensils. Cots, iron and ironing boards,hair dryers are available on request at no charge. Each apartment is fully furnished complete with a small kitchenette. The cooking facilities include 2 hot plates and a microwave, ideal of cooking a simple meal or a snack on the run. two queen or twin bed studio apartments joint. 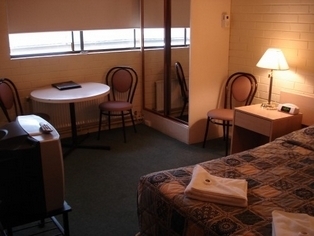 Centrally located for the corporate traveller, Quest on Redan provides an ideal base for those on budget in the St. Kilda or South Yarra areas. We have copy and fax services available. Free secure car parking on site. Quest on Redan is located at the hub of St. Kilda's and South Yarra's HOT spots. Shopping, dining out, dancing, site seeing - all of this is just a short stroll or tram/train ride away. Being so close to Albert Park and other key area, Quest on Redan is an ideal property to base yourself during major events such as the Annual Grand Prix. If you want to keep fit during your stay, indoor and outdoor facilities are close by including the Melbourne Sports and Aquatic Centre (MSAC).